Volumetric gear pumps with bell for coupling to B3/B14 motor with elastic joint available in three different constructions: Cast iron with shafts and gears in steel; Bronze with shafts and gears in Inox AISI 316; Inox AISI 316. 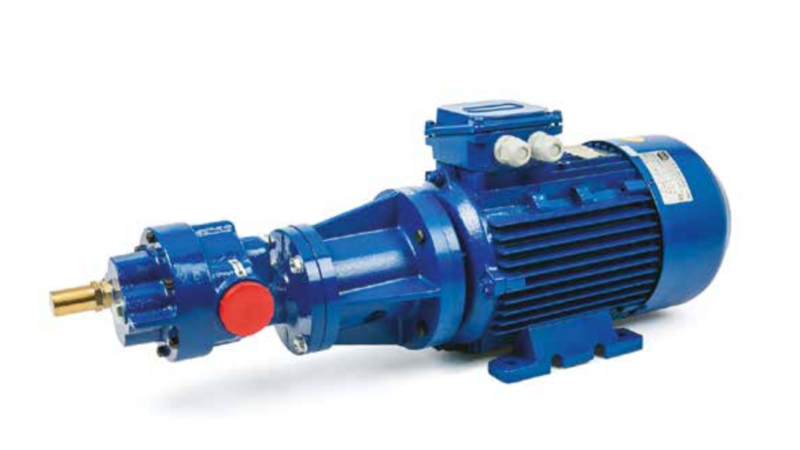 Pumps can be coupled to any B3/B14 standard motor. Pumps can be available with safety by-pass valve. Inlet and outlet nozzles are aligned with same diameter. Pumps for lubricant liquids without any suspend- ed solid or abrasive substance. Max temperature of 100 °C for standard version. Max pressure 10 Bar. High temperature until 200 °C. Single or multiple groups complete of accessories and control panel.